Half of all coral species in the Caribbean went extinct between 1 and 2 million years ago, probably due to drastic environmental changes. Which ones survived? Scientists working at the Smithsonian Tropical Research Institute (STRI) think one group of survivors, corals in the genus Orbicella, will continue to adapt to future climate changes because of their high genetic diversity. "Having a lot of genetic variants is like buying a lot of lottery tickets," said Carlos Prada, lead author of the study and Earl S. Tupper Post-doctoral Fellow at STRI. "We discovered that even small numbers of individuals in three different species of the reef-building coral genus Orbicella have quite a bit of genetic variation, and therefore, are likely to adapt to big changes in their environment." "The implications of these findings go beyond basic science," said Monica Medina, research associate at STRI and the Smithsonian's National Museum of Natural History and associate professor at Pennsylvania State University. "We can look forward to using similar approaches to predict demographic models to better manage the climate change threatened Orbicella reefs of today." 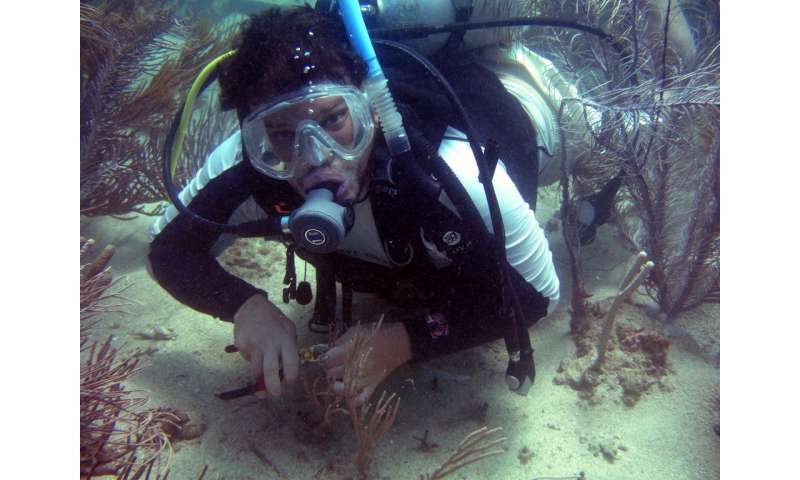 To look back in time, the team of researchers working at the Smithsonian's Bocas del Toro Research Station and Naos Molecular and Marine Laboratories collected fossils from ancient coral reefs and used high-resolution geologic dating methods to determine their ages. They compared the numbers of fossilized coral species at different time points. One of the best-represented groups in the fossil collections were species in the genus Orbicella. In addition to the fossil collections, they also used whole genome sequencing to estimate current and past numbers of several Orbicella species. Within a single individual there are two copies of their genetic material, in some instances, one copy is different than the other and is called a genetic variant. The authors first assembled the full genomic sequence of an individual from Florida and then, using it as an anchor, reconstructed the genetic variation contained within single individuals. Depending on the amount of the genetic variation at certain intervals across the genome, the authors were able to recover the population sizes of each species at different times in the past. 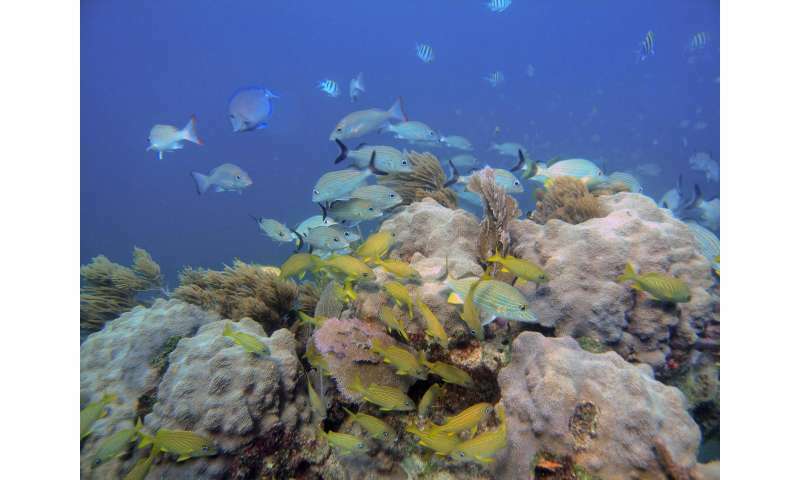 Between 3.5 to 2.5 million years ago, numbers of all coral species increased in the Caribbean. But from 2 to 1.5 million years ago, a time when glaciers moved down to cover much of the northern hemisphere and sea surface temperatures plunged, the number of coral species in the Caribbean also took a nosedive. Sea levels fell, eliminating much of the original shallow, near-shore habitat. "Apart from the species that exist today, all species of Orbicella that survived until 2 million years ago suddenly went extinct," write the authors. When huge numbers of species die out, it makes room for other species to move in and for new species to develop to occupy the space the others held. Two species that grow best in shallow water doubled in number at about the same time that their sister species and competitor, the organ pipe Orbicella (O. nancyi) disappeared. When a species declines during an extinction event, it loses more and more genetic variation, and sometimes does not have much to work with during the recovery period. Scientists call this a genetic bottleneck. Orbicella was able to recover after the bottleneck. "It's incredible how predictions from genetic data correlated so well with observations from the fossil and environmental record," said Michael DeGiorgio (assistant professor of biology at Pennsylvania State University). "We see hope in our results that Orbicella species survived a dramatic environmental variation event," said Prada. "It is likely that surviving such difficult times made these coral populations more robust and able to persist under future climatic change." "The in-depth analysis of population size in a now ESA-threatened coral, as well as the release of its genome and that of its close relatives (which are also threatened) would be of great interest to coral reef researchers addressing conservation issues," said Nancy Knowlton, senior scientist emeritus at STRI, currently at the National Museum of Natural History. More information: Prada, C., Hanna, B., Budd, A.F., et al. 2016. Empty niches after extinctions increase population sizes of modern corals. Current Biology, 2016.